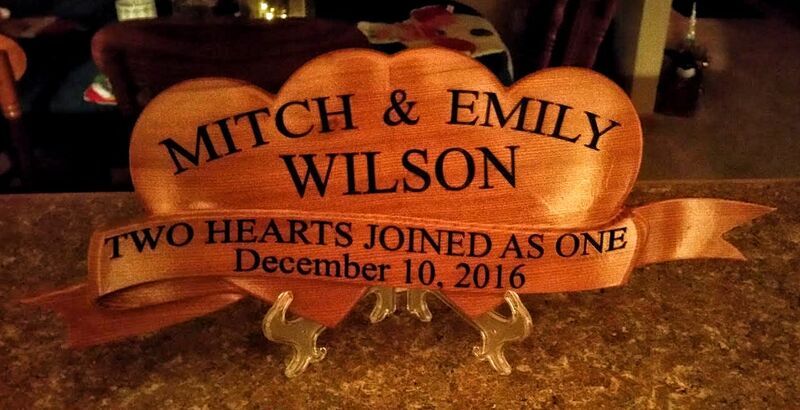 Dwayne Williams has taken one of our "Free" projects and made a wonderful wedding gift that we are sure will be cherished for years to come. "The attached file (above) is my go at the Hearts collection (Free Heart and Ribbon Project) so graciously supplied for free by the Design and Make team. 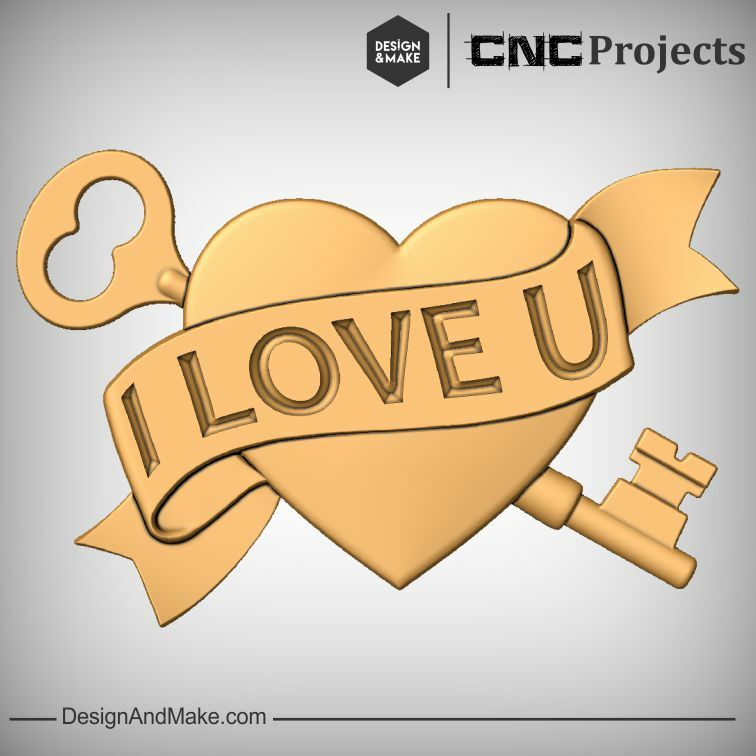 "This project was cut on my self-design and built CNC router. All aluminum construction with 24 X 30 inch build volume. 6 inches of travel in the Z." "I chose Old Growth Redwood for this project as it symbolizes the same properties that marriage should employ. It weathers the fiercest of storms and returns all the better for the experience." ".25 End Mill was used for a rough pass. Taking 2.5 hours. .125 Ball Nose End Mill was used for the finishing pass at 10% step over and 50 ipm. This took 4.5 hours. 60° V-Carve bit .5 inch diameter was used for the lettering. This took 1.5 hours. .25 End Mill used to do the final tabbed profile cut." "2 coats of rattle can sanding sealer sprayed on and left to dry overnight. All lettering was hand painted with a chisel brush using Black Heavy bodied Acrylic blotting any overages that may have occurred. Left to cure overnight. Finish sanded with 320 grit sandpaper to bring back the crisp lines of the lettering and clean up any overages. Sprayed 3 coats of rattle can poly with a light buffing with 0000 steel wool between coats. The pictures really don't do any justice for this piece." "Oh, and a decorative plate display from Michaels worked perfectly to display this." "I ended up showing this to the mother of the bride and she loved it so much she wants to put it front and center of the newlyweds head table at the reception. Thanks again for the gracious gift." 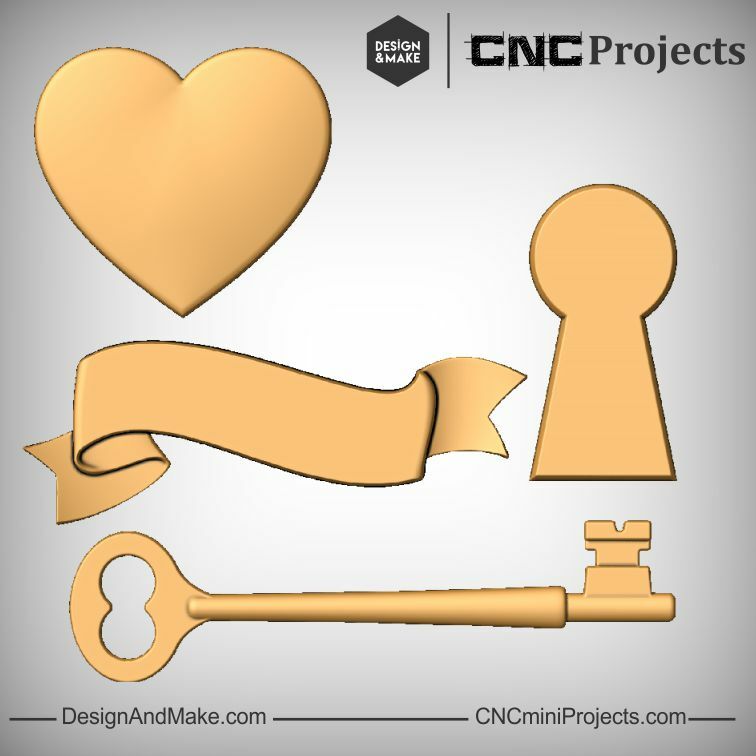 If you don't have it already you can get the Free Heart And Ribbon model project by setting up a free Design and Make Account. Once you have that set up you will have access to more free content, so what are you waiting for? 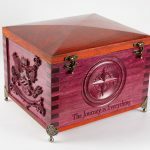 Thank you, Dwayne, for taking the time to share your project with us!